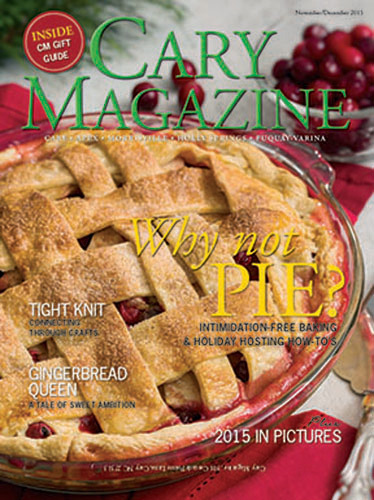 Share the joy this holiday season, with gift ideas from Cary Magazine partners. 1. Monogrammed vests, available in six color combinations, will impress even your hardest person to buy for! $35 plus monogramming. 2. Custom-designed silk or fresh arrangements will brighten any holiday table, and unique gifts will please everyone on your list. 3. Maps by A. Jaffe Collection. Custom fine jewelry pieces engraved with any location — a diamond marks the spot of a favorite memory! Starting at $125. 4. Material goods: Cary Quilting Company has gift cards, quilting cottons, notions and other gifts starting at $9.50. 5. Damn Handsome Beer products are intoxicating men’s grooming items made with ingredients from the bottom of a beer barrel; $8 up. 6. From hostess gifts to holiday stamps, Expressionery has personalized stamps and stationery that will delight everyone on your list. 7. Become a member of The Cary Film Circle program or purchase gift cards for tickets at The Cary Theater. Memberships are $25 to $125. 8. Build your own gift basket with gift cards and products by Murad Healthy Skin and Biofreeze. Our Holiday Gift Card Special expires Dec. 24. 9. Nora Fleming Serveware can be customized for every occasion with individual toppers. Bar glasses and corks to bring humor to everyone; $10 up. 10. Michael Kors watches: High performance details shine in the Sawyer Rose Gold-Tone Watch, top, $295; the Parker Rose Gold-Tone Watch, bottom, sparkles with pavé stones, $275. 11. Adult coloring is the newest way to unwind and express your creativity. Many styles to choose from; $6 up. 12. Tutu School Raleigh — Give the gift of magical twirling to your little dancer! Classes, camps and parties. 13. The perfect food pairing wine or gift for the wine lover: Lujon Single Vineyard Walla Walla Cabernet Sauvignon, $24.99; Pol Roger Champagne, $49.99; Coravin Wine Access System, $299.99. 14. Give the gift of a great time at Mellow Mushroom of Cary! Gift cards available in any denomination. 15. Bernina sewing machines, fabric and notions make great gifts. Bernina World of Sewing has holiday gifts at all prices. 16. Big O Key Rings — With this Oprah favorite, never lose your keys again, $55; packable nylon totes, $14; Fragonard French soaps, $16. 17. The Day the Crayons Quit and The Day the Crayons Came Home: Heartwarming stories perfect for sharing; $17.99 and $18.99. Purchase one of these beautiful bears and one is donated to a local children’s hospital, two sizes; $20 up. 19. Whisk carries everything you need for cooking and holiday entertaining, including great wine and cheese gifts; $4.99 up. 20. Fused and infused olive oils, specialty oils and balsamic vinegars, spice blends, gift baskets and certificates; $7 up. 1. Spiritual Gangster’s ‘Do all things with love’ ultra-soft yoga muscle tee/layering tank, $41, and Alo Yoga Airbrushed Capri, $67. 2. Vinturi Wine Aerator Tower creates a dramatic presentation, $74.99. 3. Diamond bangles available in white, yellow or rose gold and multiple carat weights. $2,000 to $2,500. 4. One of North Carolina’s best selections of fine wines, with more than 3,000 to choose from, priced from $4.99 to $4,000. 5. Add a temporary touch with Colorme in 18 vibrant colors, $11.99; Moroccanoil, infused with nutrients and antioxidants, $16 and up. 6. The Night Before Christmas Carol on Dec. 12 at 7 p.m.; social and historical context on the classic tale. $15 each, $13 seniors. 7. Give the gift of a great time at Mellow Mushroom of Cary! Gift cards available in any denomination. 8. Initial pendants available in white, yellow or rose gold. $330. 9. Build your own gift basket with gift cards and products by Murad Healthy Skin and Biofreeze. 10. Whimsical piggy banks, for decoration or for the little ones; available in multiple designs and sizes, starting at $19.95. 11. Monteverde One Touch: Heavyweight, six-sided barrel houses a ballpoint pen, stylus, level, ruler, three scales and two screwdrivers. $29.99. 12. More than 10,000 unique tools for the cook, and easy-to-love, hard-to-find gifts, starting at $4.99. 13. Fused and infused olive oils, specialty oils and balsamic vinegars, spice blends, gift baskets and certificates. $7 up. 14. The Original Spirograph, updated with precision-engineered wheels and rings designed to work with most pens, markers or pencils. $29.99. 15. Need a snuggle? A cuddle? A snurfle? 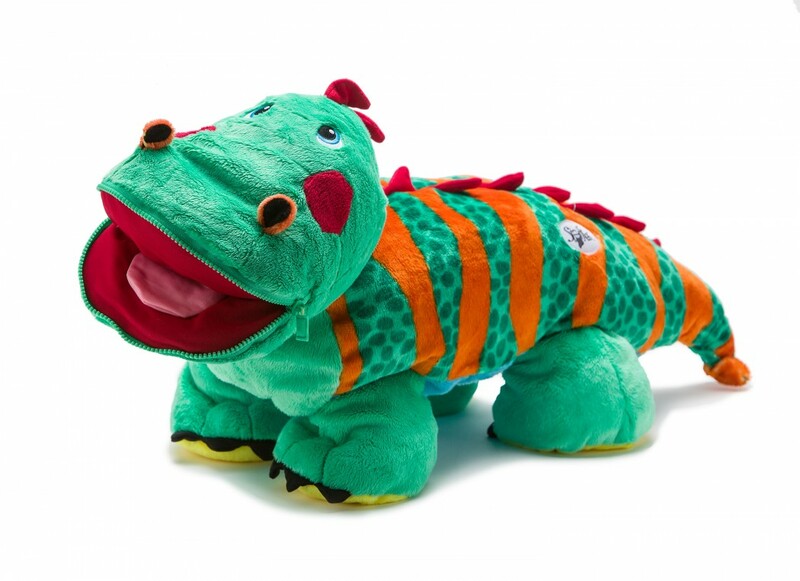 Go ahead, squeeze a Squishable! $41.99. 16. Koko FitClub technology equals faster, more effective workouts. Five levels of membership, starting at $39 per month. 17. Give the gift of relief this season, with gift cards from Elements Massage in various denominations, or choose the holiday special: Two 55-minute massages for $99. 18. The Promise Bracelet, made of intertwining silver and yellow gold; only the Tacori Key holder can unlock it. $2,390. 19. Stackable gemstone rings available in white, yellow or rose gold with various center stone options. $250-$280. 20. More than 1,200 beers and accessories from North Carolina and around the world! Available by the bottle, keg or on tap, from 99 cents. 21. A distinct selection of fragrances available in parfums, lotions, candles and lip balms, $10 and up.